In celebration of Women’s History Month, we’re sharing a series of sixty-second interviews from the women employees and leaders all across the Envoy operation. 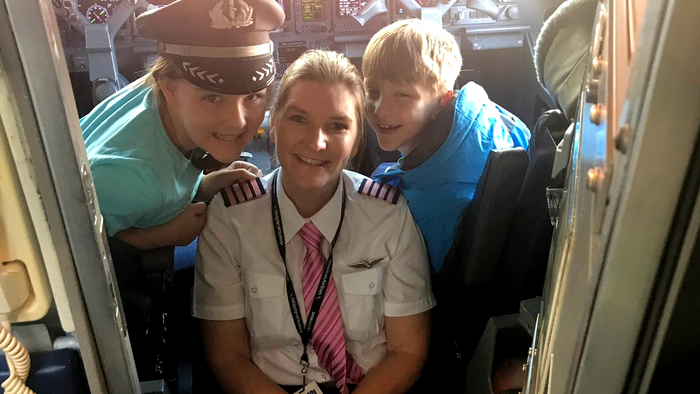 For this installment, we hear from Captain Kathleen Mask who is based in Chicago flying the Embraer 140/145. I lost a bet in college! I always said I would never get into a “tin can”. When I did finally did get in, I have to admit that I was anxious but thrilled at the same time! When I made it back to solid ground, I called my mom. I informed her that I was switching my major to Aviation after having almost three years of pre-med school done. I am currently a pilot and recently upgraded to Captain. I am also the acting Chief Pilot Office manager for our Chicago and Miami crew bases. With my current role I still get to fly, though not as much. I feel like I am able to have a positive impact on our pilot group. I hope that any small thing I can do to help out fellow employees would make a difference for them. Who has inspired you in your life and/or career? Most definitely my mother. Though she was not in the aviation field, she was and is my biggest cheerleader. Never once was I chastised for switching my degree. She would always say, “you’re going to be doing your job your whole life, so pick something you love.” The support that both my parents give in things like watching my children while I went through training means more than I can possibly put into words! I am a complete, 100%-percent nerd. I read incessantly, and I am never without a book. I have tons of them and love to find the really old, rare gems!